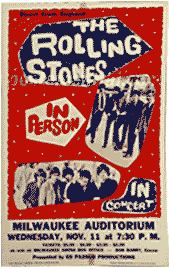 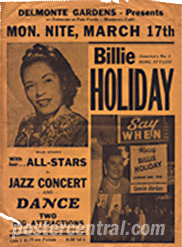 The following musicians are my very favorites, so I will definitely pay top dollar for any original concert posters by Elvis Presley, The Beatles, Bob Dylan, Billie Holiday, or The Rolling Stones. 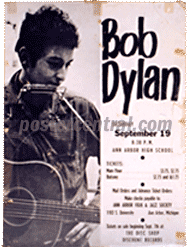 Click on each caption to see more examples! 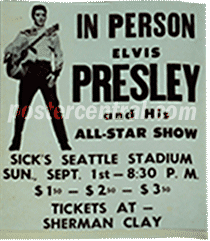 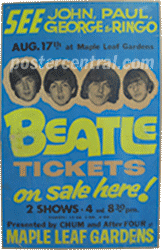 Details on the concert posters pictured above, all original, all printed before the event for the sole purpose of selling tickets: Elvis Presley in Seattle, Washington, Sept. 1, 1957; The Beatles in Toronto, Canada, Aug. 17, 1966; Bob Dylan in Ann Arbor, Michigan, Sept. 19, 1964; Billie Holiday in Monterey, California, March 17, 1952; ; and The Rolling Stones in Milwaukee, Wisconsin, Nov. 11, 1964.